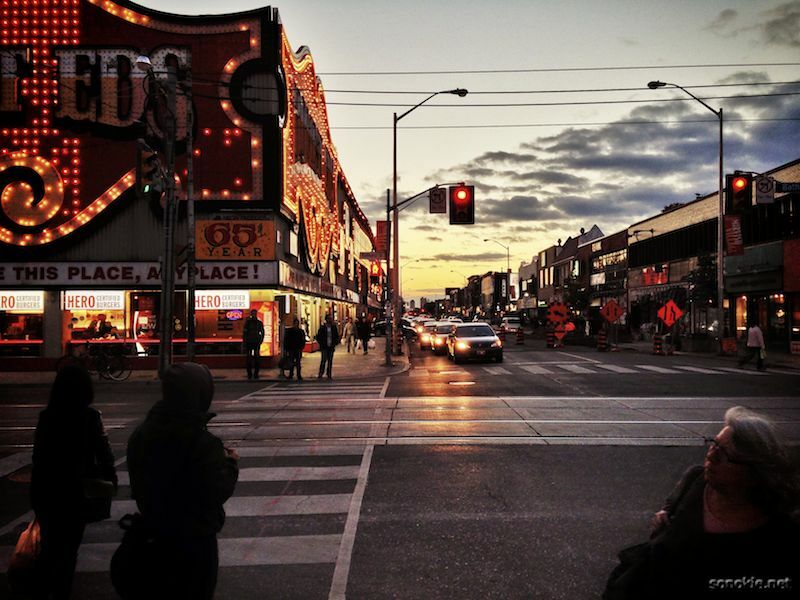 The sun sets on Bloor Street while I walk back to the hotel after meeting with my coworkers. We all work from home, then get together a couple times a year in person to discuss how to improve our processes. I look forward to the trip because my coworkers are good people, and I enjoy visiting Toronto too.